Taipi is a cute bear monster who came from Taiwan and just moved to The Netherlands. 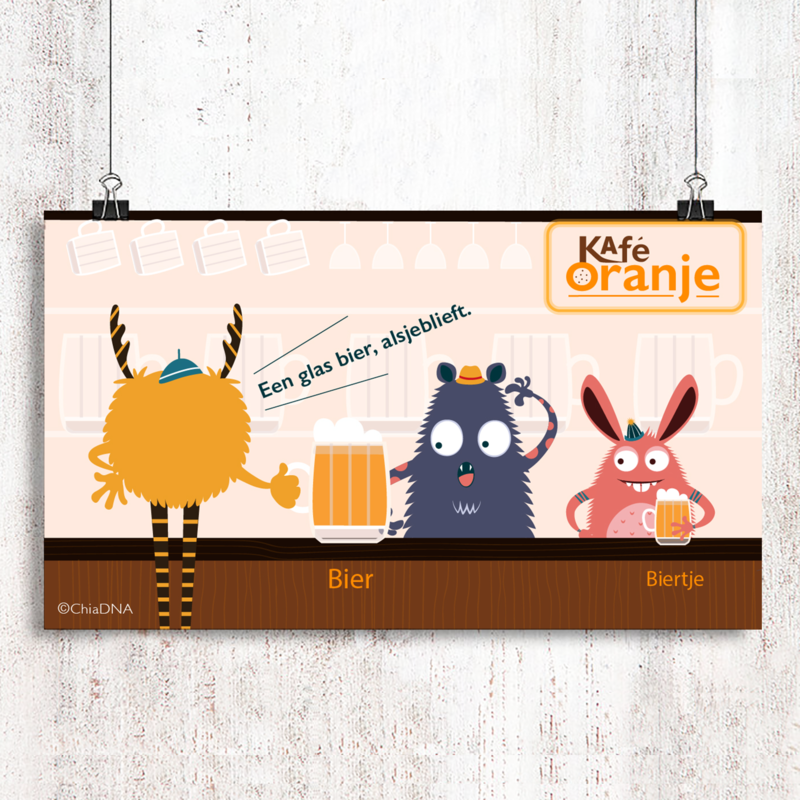 Today is Friday and Taipi is going to Café Oranje and meet some new friends there. What should Taipi say to the bartender to start a conversation in Dutch? Adding “tje” behind an object makes it smaller and cuter. Dutch people are used to do it, for example huis / huisje, meis/ meisje, etc.